Small batch beers from the heart of the Hidden City. Escondido Brewing Company opened its doors in the Summer of 2017, in a vacant warehouse space adjacent to Escondido Feed & Pet Supply. 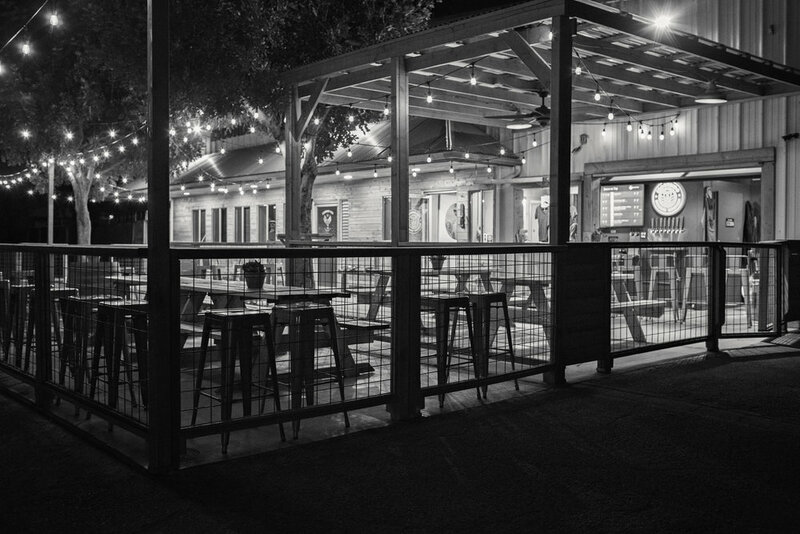 With a convenient location just off the 15 and 78 freeways, we are proud to be part of North County San Diego's exciting craft beer scene. At less than 300 square feet, we are currently the smallest operating brewery in San Diego County. But don't let our size fool you. We focus exclusively on small batch beers, which allows us to continually experiment with unique styles and flavors. When our passion for quality beer is infused with heart and history, the result speaks for itself. We can't wait to share our beer with you. At EBC, we are bringing back the intimate craft beer experience. With our small footprint and direct interaction with our patrons, we welcome the connection and conversation. Our 1 bbl system allows us the flexibility to experiment with specialty hops and seasonal flavors. We are proud to offer a collection of limited beers and pay homage to our favorite Hidden City. EBC owners Ketchen and Evan first met at preschool drop-off, but their true connection was born the year Ketchen gifted Evan a bottle of his coffee stout for Christmas. Being the business-minded person he is, Evan knew a good thing when he tasted it. And when Ketchen mentioned his dream to open a local brewery, Evan jumped at the opportunity! The combination of their diverse knowledge and passion results in a nearly perfect match. Together, Ketchen and Evan feel lucky to bring another family-oriented business to their hometown of Escondido. Evan Smith is a San Diego native and Orange Glen High School graduate. His younger years were spent playing sports - soccer, baseball, track and field - surfing Swami’s, snowboarding Big Bear and Mammoth, and touring with San Diego-based Christian rock band, Dogwood. After years of working for the City of Escondido Public Works Department, he bought his family’s feed store, Escondido Feed & Pet Supply, from his mother. Since 2004, Evan has worked tirelessly to make the feed store a community-oriented, family-friendly business for North County’s animal lovers. Evan prides himself on the relationships he develops with customers and his ability to continue growing a successful family-owned business in today’s big box/online-focused economy. 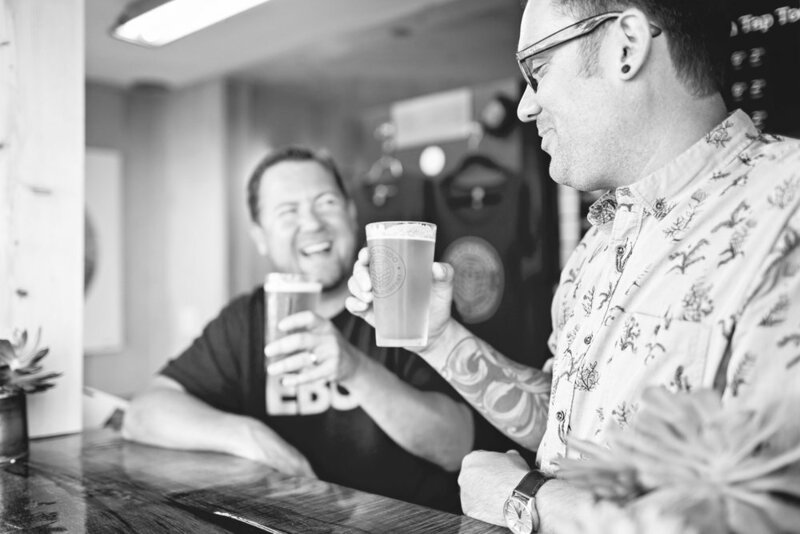 His seasoned experience with sales, marketing, branding and service, and his knowledge of and commitment to Escondido, are invaluable contributions to Escondido Brewing Company. Evan lives in Escondido with his wife, Danielle, and their two children. When he's not at work, he's crossing National Parks off his bucket list and enjoying life as a dad. Ketchen Smith is an award-winning homebrewer and hop-lover. His first batches were created on the original 40s gas Westinghouse range in his Old Escondido craftsman bungalow. When the batches started showering the walls and windows of their second bedroom, he was able to convince his wife he needed to upgrade his basic equipment and move the operation outside. Innocent accident or master plan - we will never know! After years of brewing at home, perfecting recipes and styles, and sharing his craft with family and friends, he dreamed of a way to turn his hobby into something more. 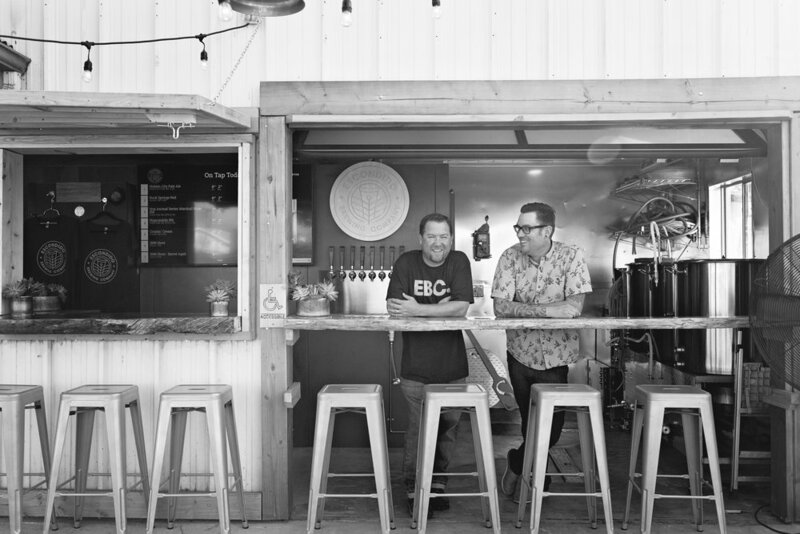 It wasn't until one Saturday morning while buying dog food, Evan showed him the space in the front of Escondido Feed & Pet and EBC became more than a pipe dream. When he's not brewing or sampling the fine craft beers of North County, Ketchen works as a Engineering Project Manager at a local medical device company. He lives in Escondido with his wife, and their two kids. He couldn't be more excited to share his award winning recipes with you.